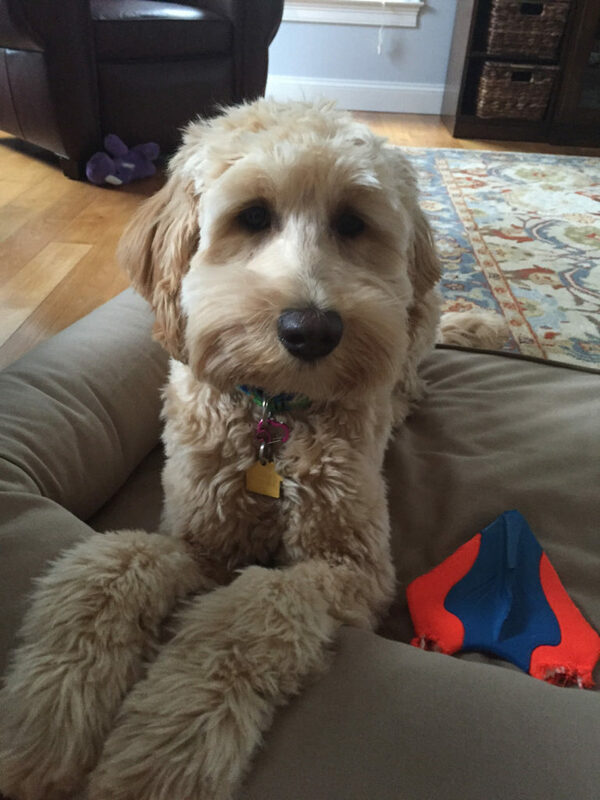 Another Doodle Breeder Customer Review for Our Readers! Bella (3 photos pictured above) is now 9 months as well. She’s 34 pounds and really the perfect size! She’s quite the spitfire, but also very endearing. She loves to play and is also mischievous stealing the kids’ balls, gloves, etc. She can be a bit timid, but warms up pretty quickly. She is affectionate and just wants to be right in the mix. We could rub her neck and behind her ears all day. If you stop she lifts your hands with her nose and will also take her paw and lift your hand up. She is very smart! We’ve completed three training classes and will do a fourth this summer when the school year winds down. Agility was amazing for her- it really built her confidence. She loves meeting new people. She will greet other pups but enjoys her puppy friends from our weekly classes. She loves greeting people and if they don’t say hi to her, she will jump up. Yes we are still working on those springs but we are almost there. She loves to play her game of tag, but is still a little rough so we continue to settle her a bit when she’s too rowdy. We’ve learned to run her out first before the kids play too much in the yard with her. She’s much less mouthy if she’s had her exercise. She’s always been a bit mouthy but it’s almost extinguished as well. Bella is a joy. It’s incredible how much she changes with each month. She is smart as a whip and learns tricks and commands quickly. She is just still a puppy and learning her way. When we installed the invisible fence I did see a new spark in her eye. I wished we’d done it right away since we had such a mild winter but we waited until Feb. She loves the yard and loves to dig. This is a new thing we will be working on. She doesn’t bark too much, only when she notices the herd of deer going through or hears something out of the ordinary. She used to bark occasionally to get out of her crate earlier than our schedule but we ignored a few times and she no longer does it. She’s good with keeping on the schedule that works for us. We are consistent and she gets it. We get rave reviews from anyone who meets her. People can’t believe how well trained she is. I recommend Karla all of the time! I brag about the no shedding because it’s a dream! I also let people know how patient Karla is when navigating this puppy process with a family. My daughter has allergies and our doc recommended several visits. She accommodated our schedule and we were able to spend an ample amount of time to make sure it would work. The exit class was also top notch. Everyone I speak to who has gotten puppies from other places wishes they had an exit class like this. It really helped us get going on the right path. Here is 9 month old Bailey (Green Ribbon Boy) from Jazzie and Clyde’s August 14th litter. 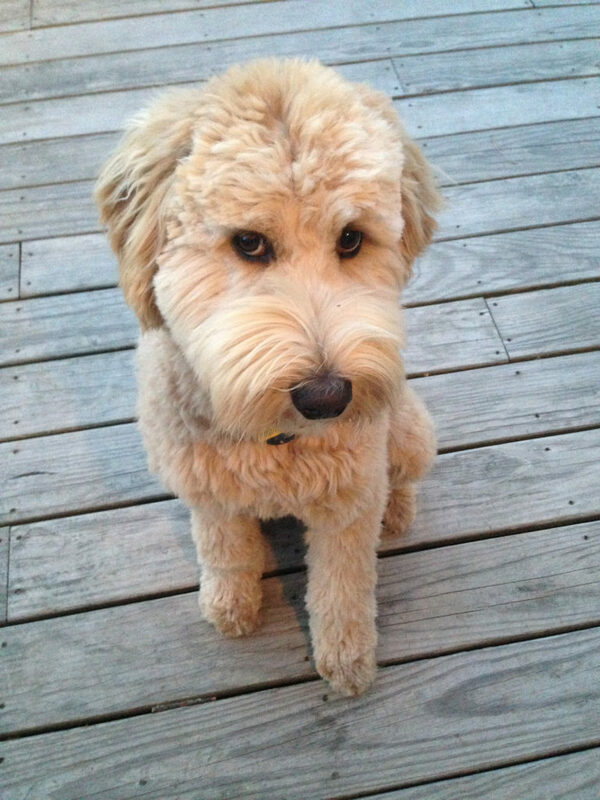 He is an amazing double doodle. He’s smart, super friendly, loving and hilarious!!!! His new favorite activity is playing at our local dog park, which a wonderful place for him to run and socialize. He’s very well known there and loved by everyone. He is one of five doodle regulars there. We just had him groomed again yesterday and he looks so handsome. Thank you Karla, for such an amazing addition to our family. We totally plan on adding a sibling within the next year or two:). not sure if I am ready yet. Greg is ready to take the plunge! My cats will disown me. So, what do we think.. Second puppy? Sooner or later? 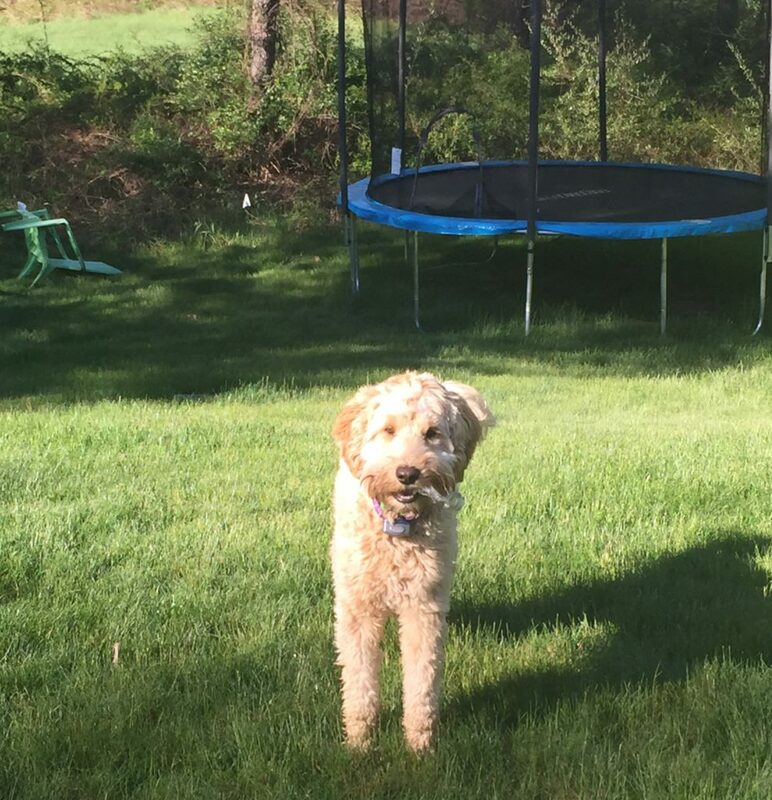 Here’s our news on Gracie (pictured above and below), now also nine months! She is about 40 lbs (perfect size for us) and also full of energy! She is a sweetheart and so so cute and friendly that people ask to take pics of her when we’re on walks. She’s very smart so training has been a snap! Gracie is also VERY playful and cunning so loves to steal things she knows are off limits and trot them in front of us. She is not at all possessive so will give up things easily. She loves to play with other dogs and our cats. The cats aren’t wild about playing with her but that doesn’t seem to phase Gracie. She’s a real love and joy in our life! Our two pups (shown above) from Karla are two of the sweetest dogs you can find. Here’s a pic of our two brothers. 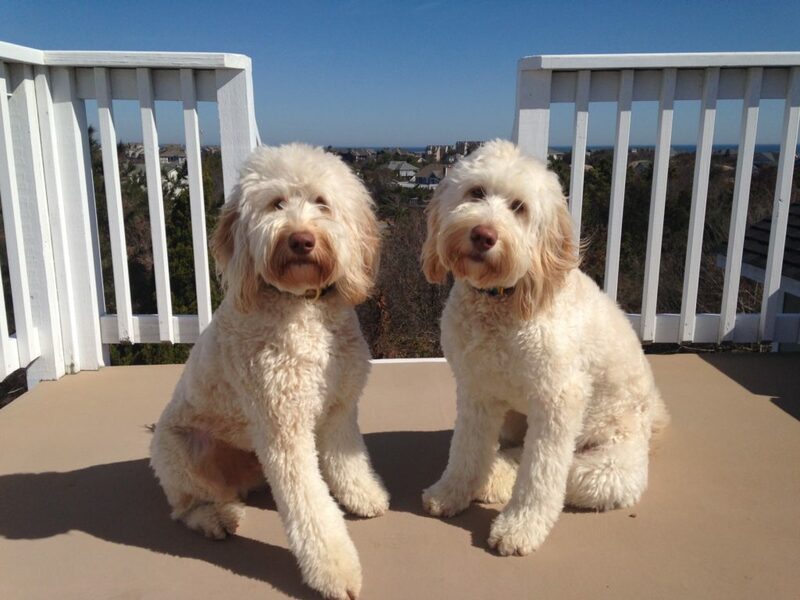 We have purchased two Labradoodles from Karla — from different litters. We live in PA and I found Karla on the Internet. I was taken by how beautiful her pups were and after talking with her on the phone, I felt very good about her philosophy. We drove up to NH to pick up our first one and after seeing the facility and speaking with Karla in person – we were even more impressed. The personality testing they do and the nutritional guidance was very helpful. 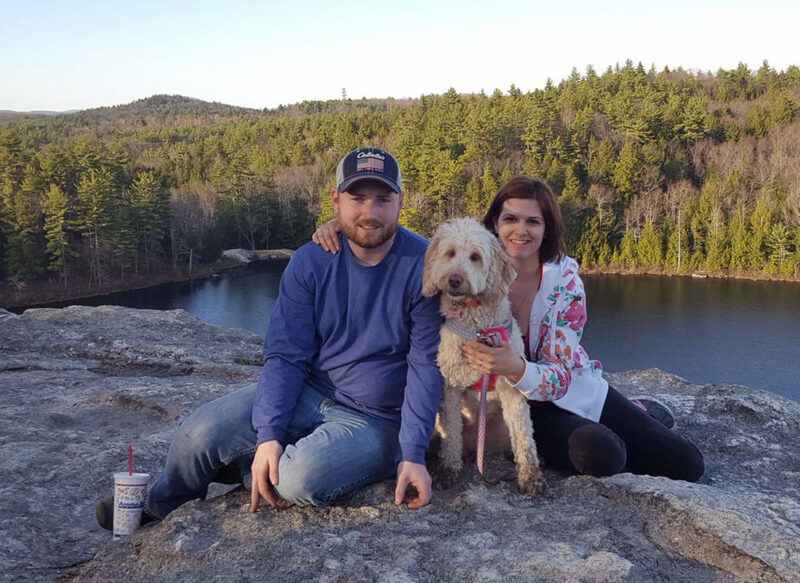 We are not dog owner novices and I can say without hesitation this was the best breeder experience we have ever had — which is why we got a second pup less than a year later and were willing to drive to New England for him. 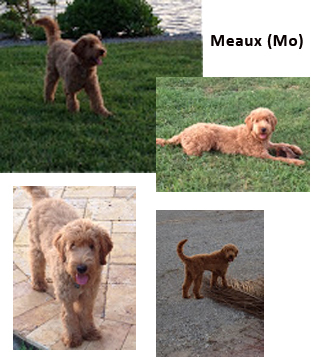 We share these Doodle Breeder Customer Reviews for anyone wanting to know about our Doodle and Moyen Poodle breeding reputation. 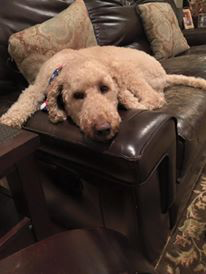 We love to share how happy our customers are with their new puppies and how their doodle puppies have turned out to be a wonderful new member of their families. These photos and comments come directly from our customers. 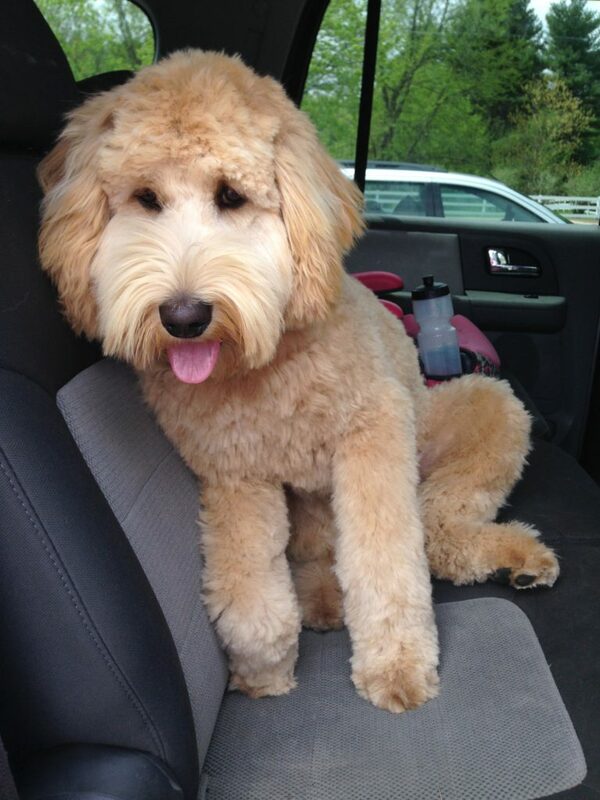 Ella (shown above) was just got groomed and is going to Axels for ice cream. 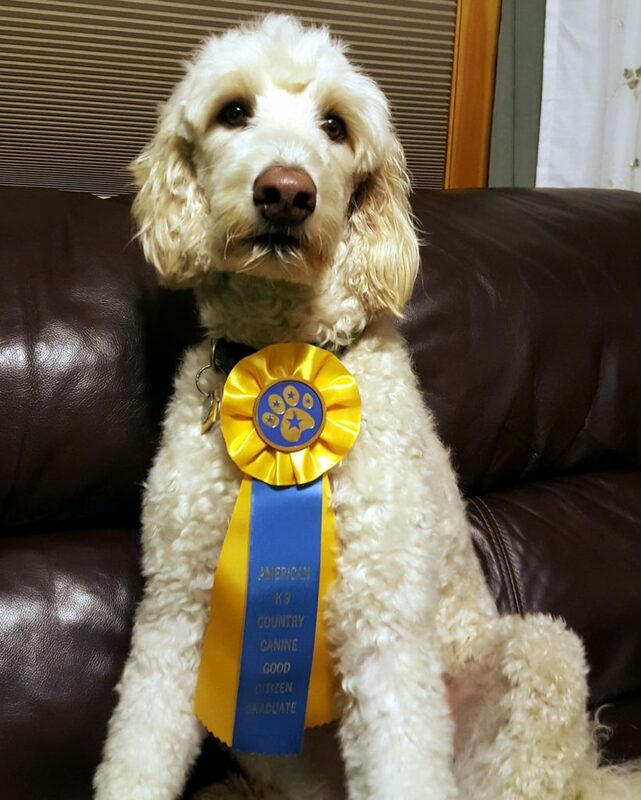 Ella (shown above) with her award after one of her training classes. 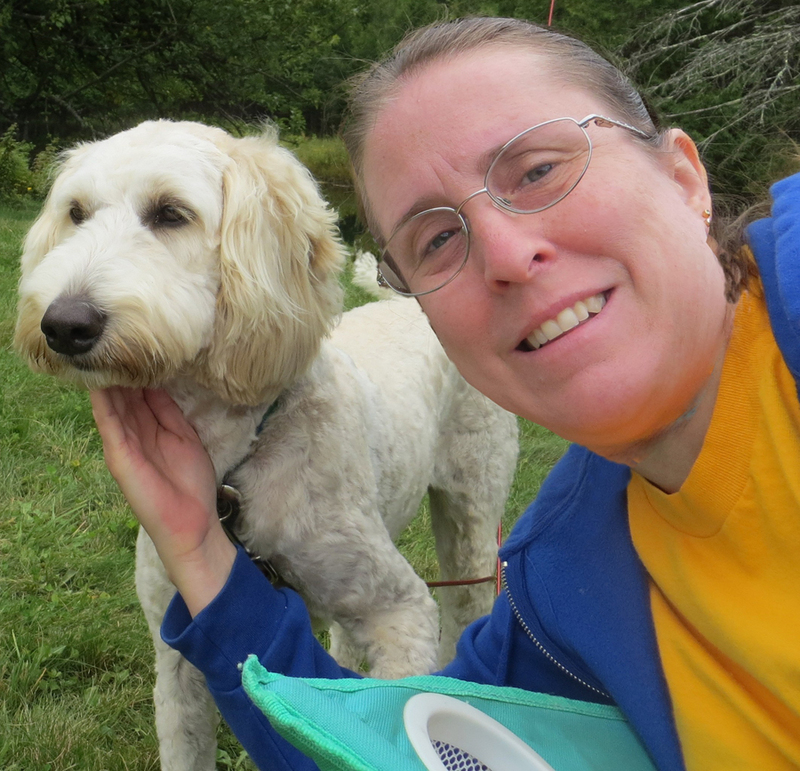 Ella (shown above) sitting with me at camp. Ella (shown above) watching the chickens in our back yard. Ella (shown above) sitting on my lap at campfire while camping. 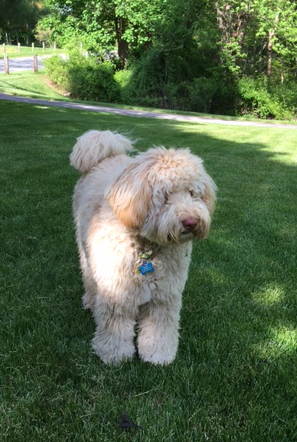 Ella (shown above) at your 1st birthday party for the doodles. Ella is doing great now. She is back to weight and has more then enough energy. You were great with your advice and the book that you gave me helped too. She now eats lots of fruits and vegetables instead of doggie treats. She could care less. Ella is so friendly and happy with us. She is great with all of our grand children too. She sleeps with them during nap time and follows them around while they are playing. She also loves the chickens and ducks in our back yard. 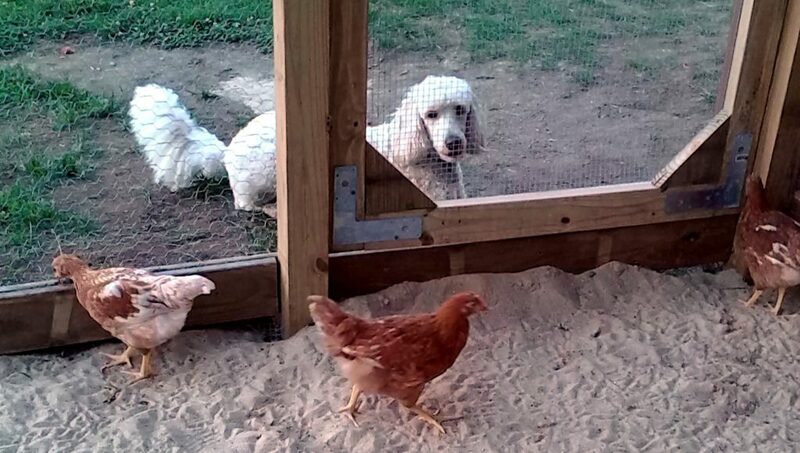 She loves to heard them into the coop at dusk and follows them around the yard all day. 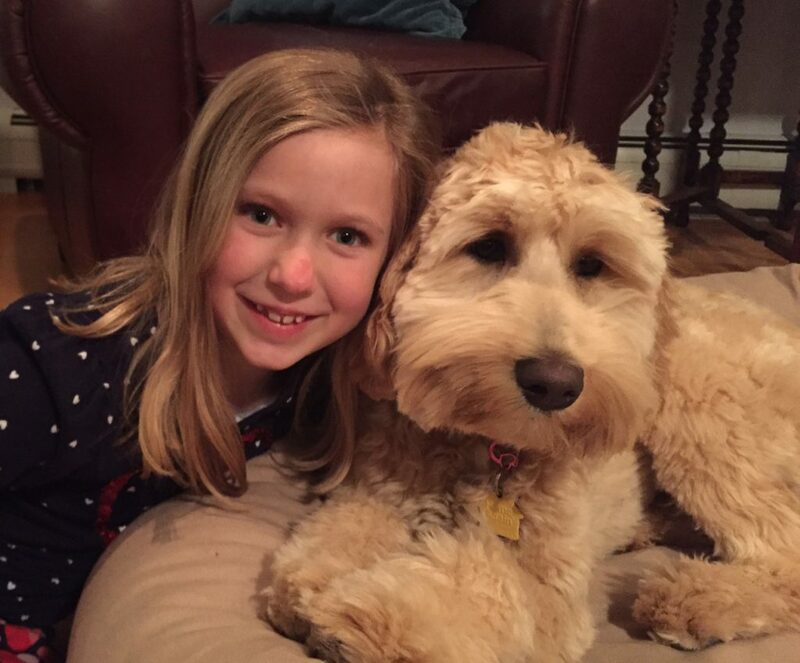 Ella is so active and her favorite things to do is swim and play ball. Her favorite place to go in the car is to get ice cream. (low Fat of course). She is also a great jumper! 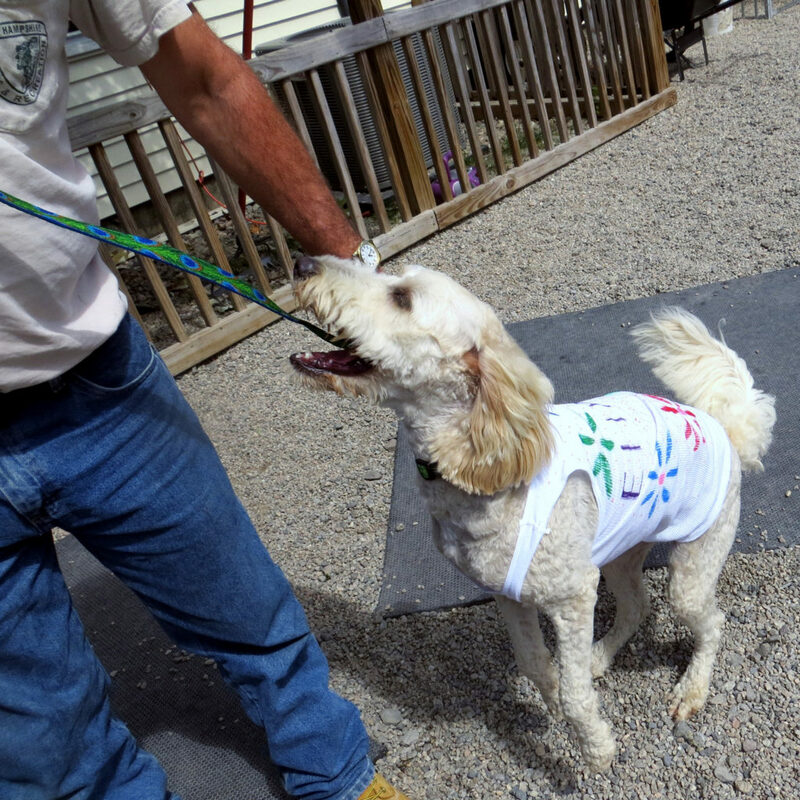 Ella loves to go to the local dog training classes. She gets so excited when we pull in the lot. She has passed three levels of classes and we are now going to go to agility classes for fun. They even have a pool there! Ella has gone camping with us two years in a row with us up in Vt. She sleeps in the tent with us and sits by the camp fires at night enjoying the warmth. Thank you so much for the great dog that you have sold to us and all the time that you have spent on the phone with me helping me when I needed it. 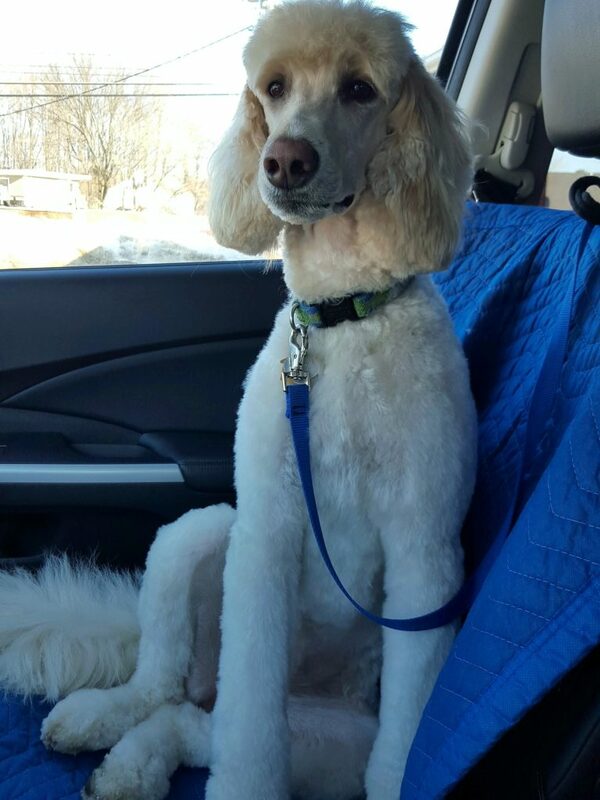 (Pictured above) Our Moyen Poodle, Jesse, turned four years old on May 1 of this year and I am writing to let you know how happy we continue to be with him. Jesse is a very smart, well mannered, member of our family. He comes to work with me most days and everyone affectionately calls him the Pastor’s Assistant, as he does have his own ministry with folks at my church! When someone is in need of tender loving care for one reason or another, Jesse seems to sense it and he responds. I’ve seen him help to visibly reduce a person’s anxiety and discomfort with his gentle prodding and snugly nature. As a matter of fact, I sincerely believe there is at least one person attends my weekly bible study just so she can snuggle with Jesse! I can’t thank you enough for the good work that you do and the beautiful dogs you bring into the world. 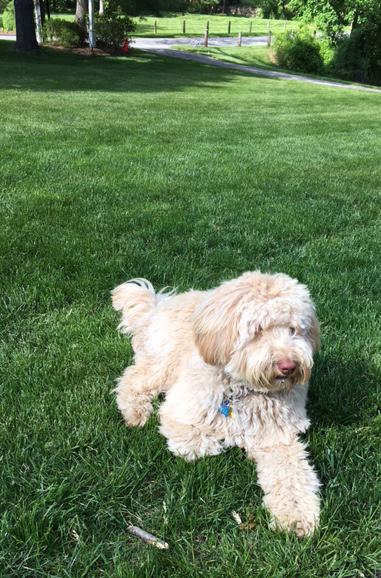 We wouldn’t hesitate to ask you for another one day, as a matter of fact, I don’t see myself ever choosing a different type of dog now that I’ve experienced what it is like to have Jesse. Lily (pictured left) (known as pink girl in the litter) has added so much love and joy to our family! We got her soon after our honeymoon so she is our baby! 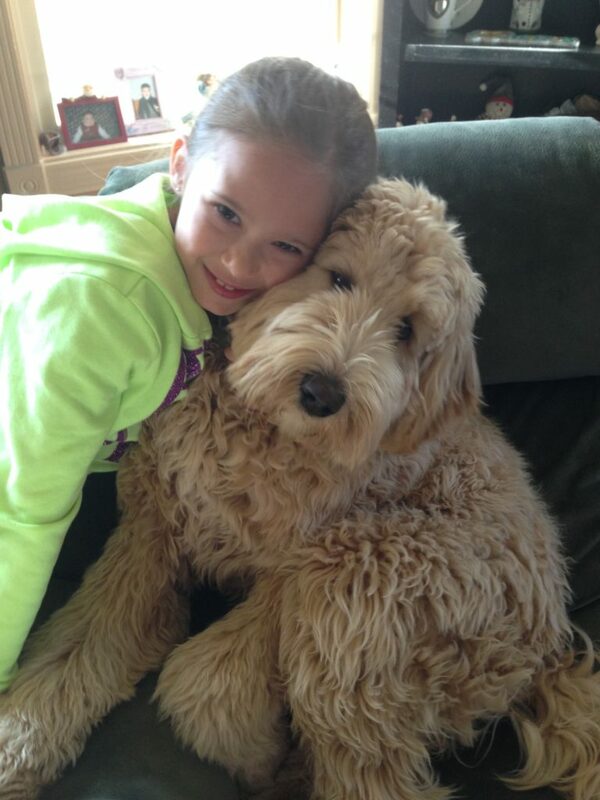 She gets spoiled not only by us but by my mother who calls Lily her granddog. My mother lost her Yorkshire terrier about a year ago so my mom stops in on her way home from work sometimes and sends me a text saying Lily called her and wanted me mere to come pick her up. It makes me happy because it makes my mom happy and lily happy! I have told so many people about you because I always get asked where I got her! We love her so very Much! I can’t believe she will be 2 on the 25th! I will send you another email after this one with a review and photo! 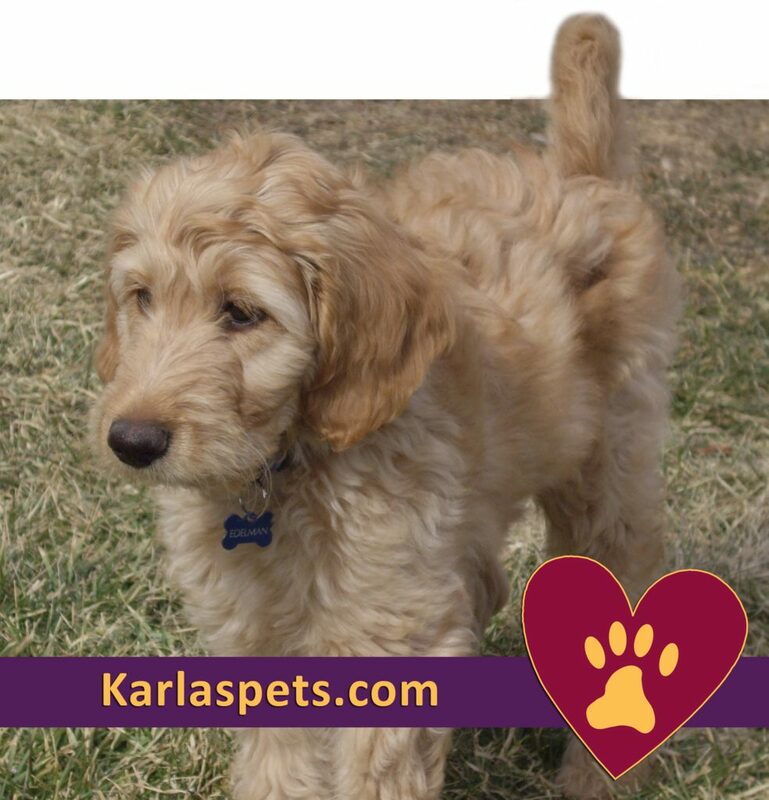 Here’s Our Doodle Breeder Customer Reviews of Karla’s Pet Rendezvous and adopting one of her beautiful doodle puppies! Karla is such a kind person who really cares about her pups. I was very pleased with how thorough she was with preparing us to bring our fur babies home! My dog Lily is almost 2 years old and Karla still sends emails every now and then to check in on her. Not too many breeders you can say that about! she truly cares! Thanks Karla for our Lily girl! The stories and pictures are wonderful. So nice to hear from everyone! 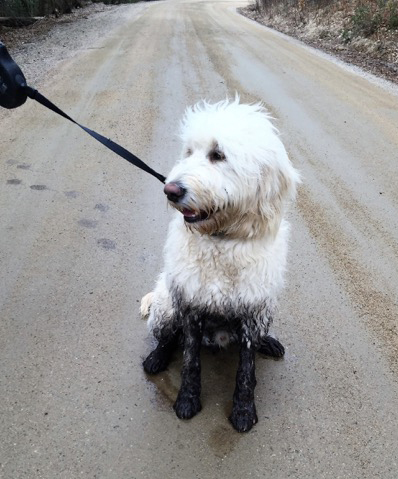 We hope our Doodle Breeder customer reviews have been helpful and give you an idea of how much we care about the puppies we raise. 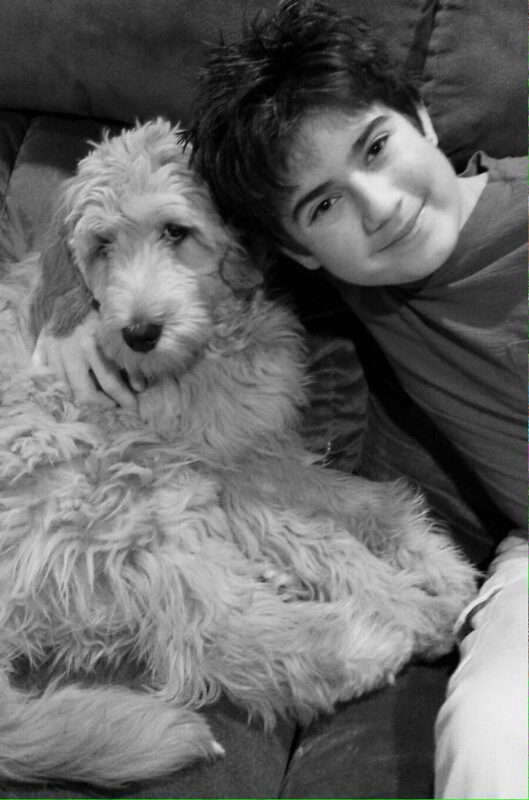 We stay in touch with our families and continue to support and help them with their dogs.